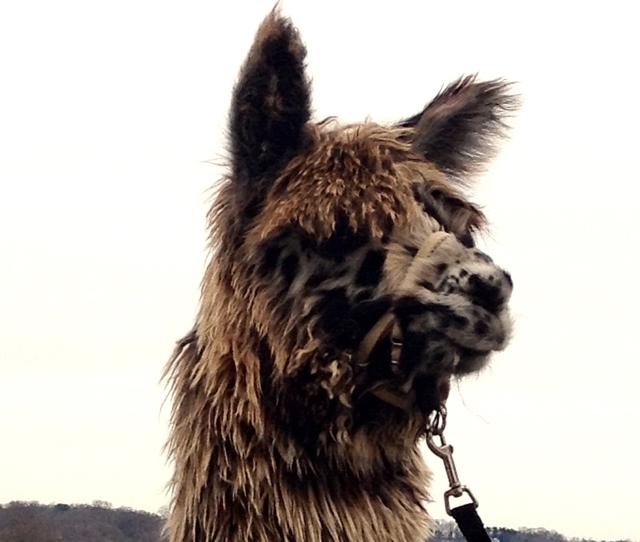 Tanika is one of the most striking alpacas we have ever seen. 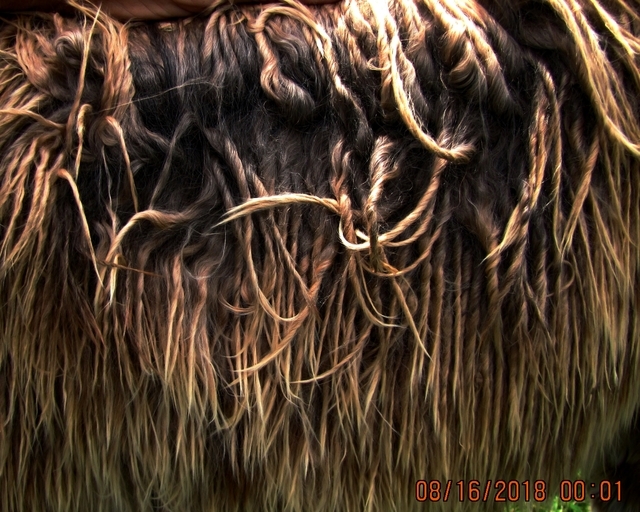 She is full Peruvian, almost 1/2 Accoyo and has the most beautiful patterned fleece. She is dark brown, medium silver grey and beige on the outside and silver grey underneath with spots of dark fawn. She got great genetics from her grandsires--Macgyver and Tattoo. 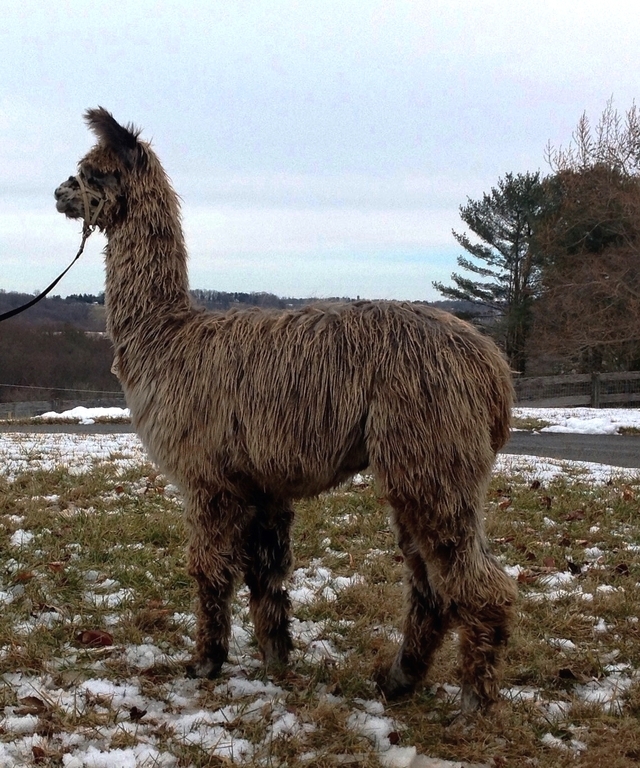 What a great surprise this cria was when he delivered! 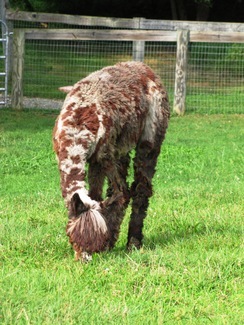 He has plenty of spots in black, dark brown, and fawn on a grey base. His locks are uniform and with a wave and twist, and he has the greatest of fuzzy ears! This little guy is show material from the start, and he will garner all types of attention whether he is in the pasture, the breeding barn, or the show ring. Tanika, his dam, has the most amazing pattern that she almost looks like a giraffe on her neck. She has a very sweet personality and is covered head to toe in fiber. She has produced appaloosas with Fusion, but when bred to solid colors will produce a solid color. We think we have found just the right combination. 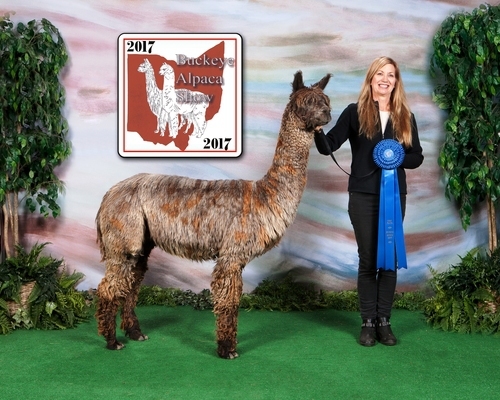 His sire, Shasta Springs Fusion, is definitely eye candy for alpaca owners and breeders. He has the most amazing color pattern, along with fineness, great conformation, and high luster for a grey. We are confident that Hot Spot will be a high-percentage producer of appaloosas, given the background of his sire and dam. Check out Fusion's listing and see his record! He is closed to outside breedings, but you can purchase females bred to him, some of which have already proven they will produce appaloosas when bred to him. Contact Patti to find out more information about this stunning appaloosa male and how to purchase him in time for the show season. Full breeding guarantees apply. 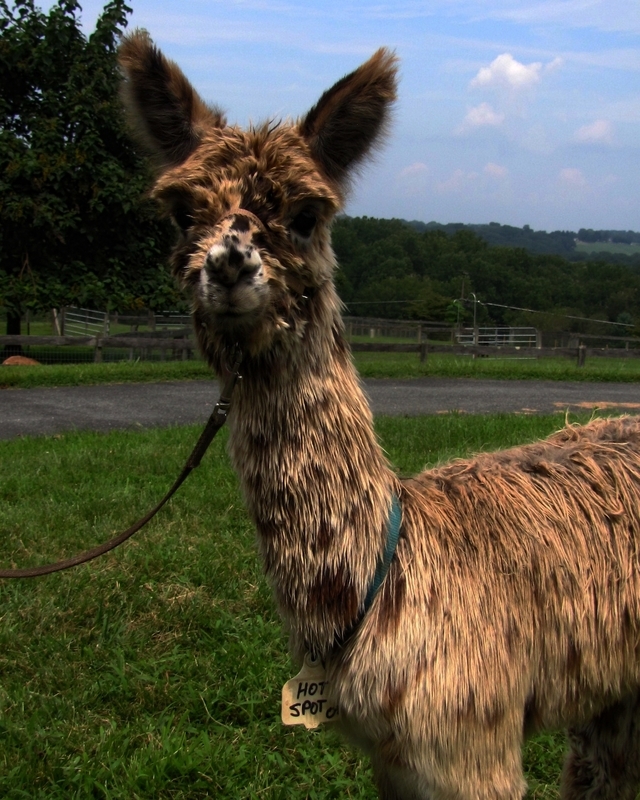 Call 443-740-4240 and arrange a visit to see him in person . . . you won't be disappointed!